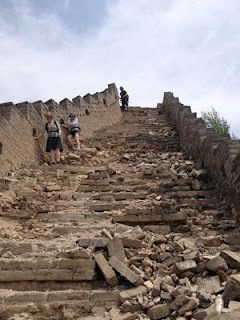 This program will give you a nice overview of some of the more obscure Great Wall sections that visitors often miss. You'll start at Old Dragon's Head, the eastern-most point of the Great Wall, which is just off the Bohai Sea. You'll then hike to the “First Pass Under Heaven”, an immense watchtower where you'll learn about the history and military strategy of this section. We'll the proceed to the Great Wall at Jiaoshan, which is divided into restored and unrestored sections, and you'll experience both on your walk, allowing you to compare and contrast the two styles. You'll spend the night at a nearby hotel and the next day you'll continue hiking on Jiaoshan. After our hike there you'll be driven to your last stop, Dongjiakou, a section of wall more than 600 years old and which features the Cihou Tower- a solid command post with no roof, giving the defenders a 360-degree-view of the whole area. This structure can not be found anywhere else.